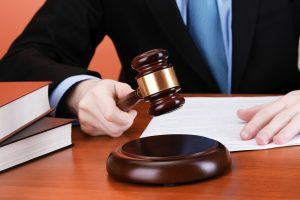 Appointing a deputy when a person lacks capacity to appoint an attorney.If a person loses capacity to decide for themselves before having the opportunity to appoint an attorney to act for them under the terms of a Lasting Power of attorney, the answer to the problem of making decisions for that person is to apply to become a deputy at the Court of Protection. You can apply to be a deputy if you’re 18 or over. Deputies are usually close relatives or friends of the person who needs help making decisions. If you want to become a property and affairs deputy, you need to have the skills to make financial decisions for someone else. The court can appoint 2 or more deputies for the same person. How do deputies act together if there are more than one? What are the duties of a deputy and how are they decided upon? As a deputy, you’ll be authorised by the Court of Protection to make decisions on behalf of a person who now lacks capacity to look after herself. When appointed a deputy you must write a report each year explaining the decisions you’ve made if you have a general level of supervision. You’ll be told when you need to send it to the Office of Public Guardian. You may not be asked to write one if you have a minimal level of supervision. ask the court to replace you with a different deputyAs a property and affairs deputy, you must fill in details of how you’ve managed the other person’s money in your annual report. letters and emails about your activities as a deputy. Gifts must be reasonable – you need to make sure any gifts don’t reduce the level of care the person you’re deputy for can afford. What does the court of protection need aside than application and payment of their fee? You may be asked to give a detailed report of what you spent. You’ll have to pay the money back if OPG finds your expenses are unreasonable. They may ask the court to stop you being a deputy if they think you’ve been dishonest. You will be asked by the court to take out a form of insurance to protect the finances of the person for whom you are deputy. This is called Security bond for property and affairs deputies. You must pay a bond to a security bond provider to protect the finances of the person you’re a deputy for. You’ll get a letter from the court telling you how to do this. Prior to appointment notice of the application will need to be given to the person concerned and those close to them who may raise objections. When can the deputy start to look after the affairs of the other person and how do they know the extent of their powers? You’ll be sent a ‘court order’ telling you what you can and can’t do as a deputy. You can start acting on behalf of the person as soon as you’re appointed by the Court order if you’re a personal welfare deputy. You will have to secure the bond mentioned above about financial affairs. You must send a copy of the order to banks etc to prove your authority but request that it is returned to you. All new deputies will now be allocated to a general level of supervision in the first year of their deputyship. Existing deputies, who manage the affairs of someone with assets below £21,000, will be placed into minimal supervision, unless there are any concerns about the case. If there are concerns, the case will receive a general level of supervision. When deputies manage the affairs of someone with assets above £21,000, these cases will also receive a general level of supervision. Is there an alternative to being appointed a deputy? It is possible to deal with an issue by creation of a trust settlement that is then approved by the Court but it is very much the exception and the disadvantage of a deputy appointment will need to be established. How to apply to become a deputy. Alternatively to completing the forms yourself you can instruct a solicitor to deal with the paperwork. If appointed by the Court you should be able to justify repayment to you of the expense from the resources of the person you will look after as deputy. This article was added on Wednesday, December 16th, 2015 at 10:21 am and is categorised under Cheshire News, Chester News, General News, Lasting Powers of Attorney, Runcorn News, Warrington News, Winsford News. Both comments and pings are currently closed. Error: Error validating access token: Session has expired on Saturday, 09-Mar-19 13:12:58 PST. The current time is Thursday, 25-Apr-19 05:58:06 PDT.